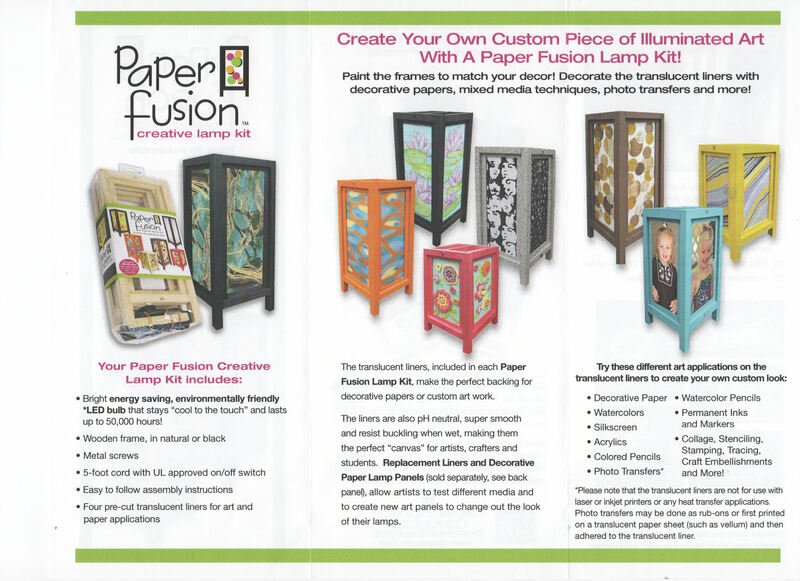 These fun, do-it-yourself lamp kits from Paper Fusion include everything you need to create a lamp that complements your décor as well as your style. Simply assemble the lamp frame, then paint, stamp, or embellish it — or leave it as is for a more natural look. Then insert the translucent liners to gently diffuse the light from the included LED "cool touch" lightbulb. 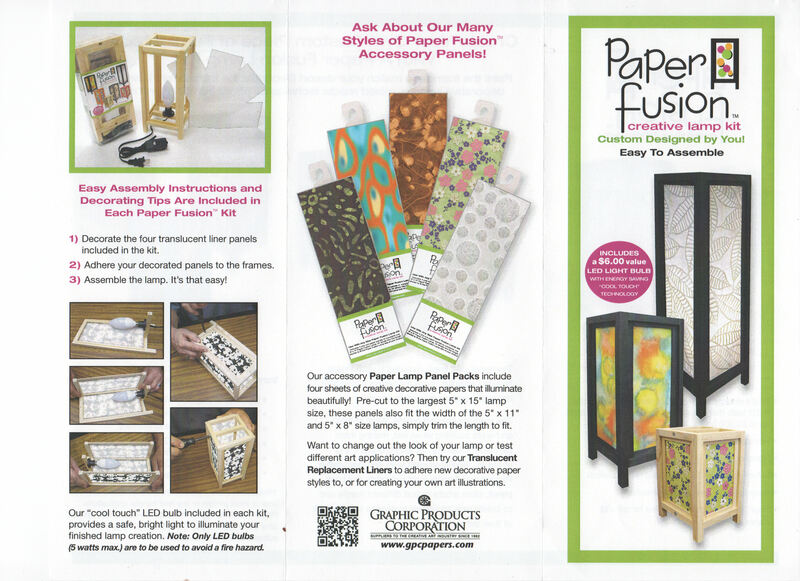 Super-smooth,pH-neutral, and resistant to buckling, the liners also make an ideal background for Paper Fusion’s Decorative Paper Lamp Panels, sold separately. 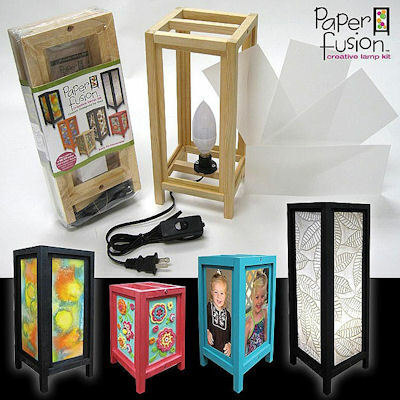 A beautiful complement to Paper Fusion lamps, the panels can also be decorated with watercolors, rubber stamps, stencils, screen prints,pen-and-ink, or your favorite photo transfers. PFK11 $29.99 (Available in Black or Natural) 11" Tall by 5" x 5"
PFK8 $27.89 (Available in Black or Natural) 8" Tall by 5" x 5"